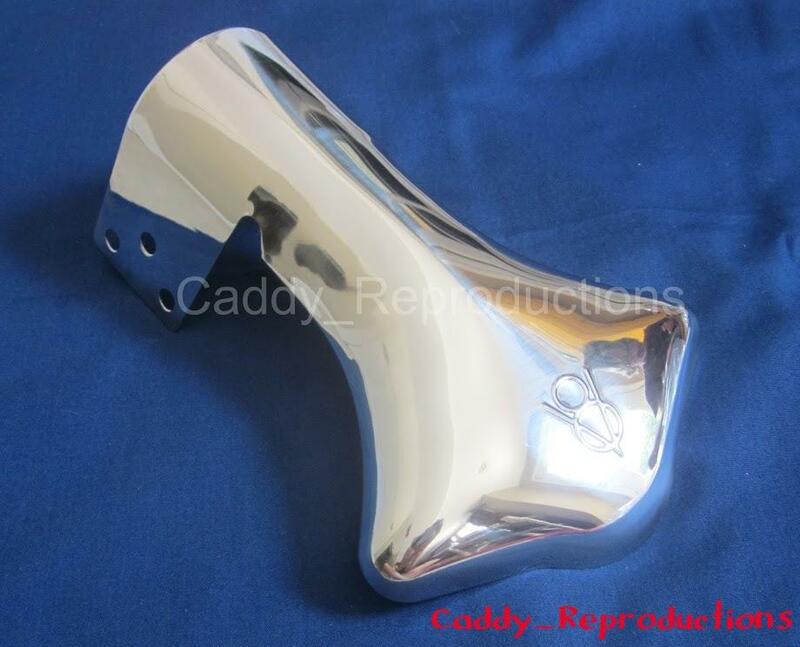 ~~Here is a Stainless Steel Fan Shaped Exhaust Deflector with V8 Logo. Great for your Classic Car or Hot Rod. 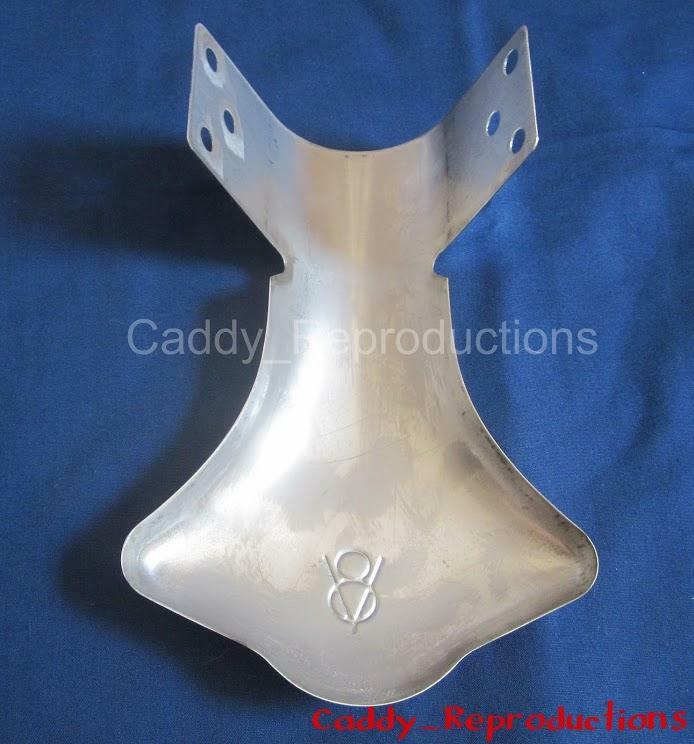 These are a great Reproduction of the GM Accessory, Made of Stainless Steel, so it will not rust. 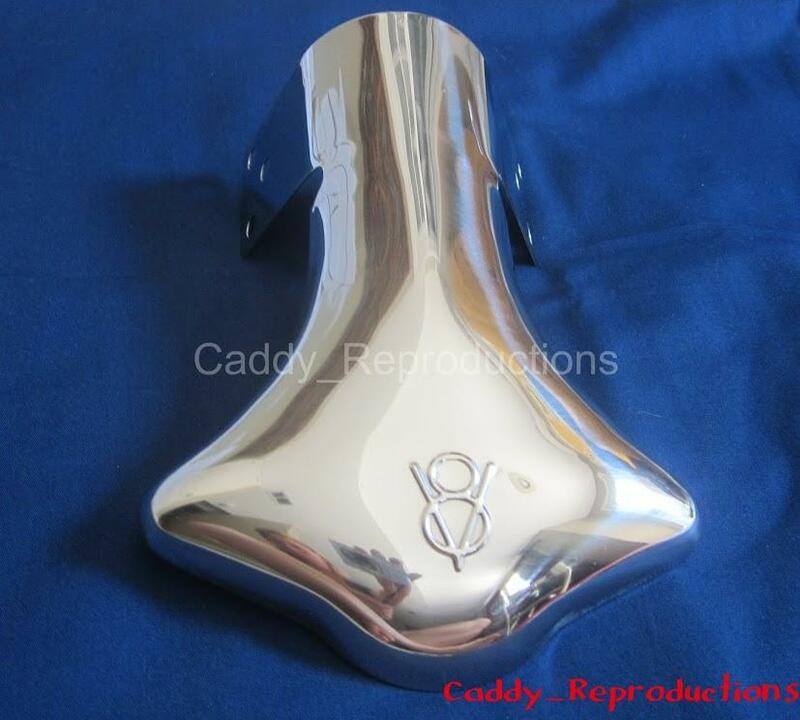 1946 - 1960 Cadillac Resonator Exhaust 18"